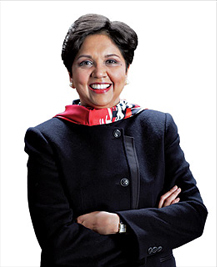 Indra K. Nooyi, Chairman and CEO, PepsiCo, Introduces the 2007 Women Worth Watching. It’s worth noting that nearly 100 years ago, women were marching in the streets of New York City for voting rights and better pay. So, in a year when one woman is Speaker of the House of Representatives and another is the front runner for the Democratic party’s candidacy for president of the United States, it’s clear that progress has been made. However, it’s also clear that women still have a way to go. We are still celebrating too many “firsts” and “seconds”—and within the top leadership ranks of corporations, we’re still building on a small base. 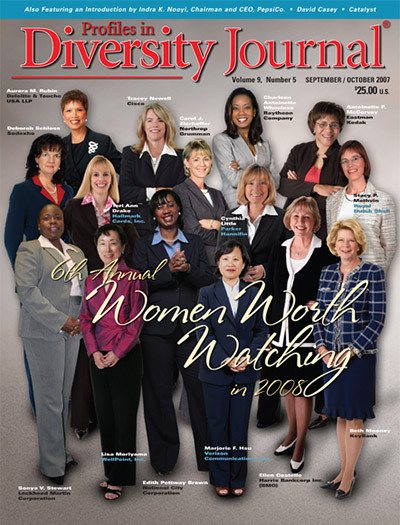 That’s why I appreciate having this opportunity to celebrate the accomplishments shared in Profiles in Diversity Journal’s 6th annual Women Worth Watching® issue and to add some word of encouragement to women who are breaking down barriers, taking companies to higher levels of performance and inspiring the next generation of leaders. Who you are is as important as your formal education and your professional skills. If that sounds simplistic, consider how long women were given career advice instructing them to emulate men. At PepsiCo, we strive to create a work environment that encourages every associate to bring his or her whole self to the workplace. Not just because it’s the right thing to do. But also because diversity of thought unleashes creativity and the power of innovation. Having teams of people with different backgrounds and different experiences gives us marketplace insights that enable us to better serve our consumers, retail customers and communities. In fact, many of our new flavors and products had their origins in these discussions. And, several years ago, we noticed that our attrition rate among women of color was the highest of any employee group. Through research, we found they felt less connected, less satisfied and less committed than any other group. And their numbers were small. A major reason was that a lack of “authentic relationships” existed between women of color and their managers. They wanted to be understood and valued for who they were, to be true to themselves and to use the best of their skills and experience. Through the efforts of a cross—geographical, cross-divisional program, guided by a steering committee and executive sponsors, we launched a Women of Color Multicultural Alliance to focus on attracting, retaining and developing this crucial group. As a result, at the senior manager, director and VP levels, women of color have increased from 4 percent to just under 7 percent in four years. We also implemented a coaching program that has halved our turnover rate among the women of color who participated. We applied these insights and some of the same coaching programs to all women at PepsiCo, through our Women’s Initiative Network (WIN). We also added a few new channels of connection – networking pods, frequent interaction with leadership and social networking. The WOC numbers and the early WIN results clearly show the importance of authenticity and its link to performance, talent sustainability and much more. Performance must be complemented by purpose. All of us come to work each day looking for meaning. We want to construct a life as well as make a living; we want to make a difference, as well as earn a paycheck. While that’s true of most individuals, I think it’s especially true of women. Without a larger purpose to give our lives meaning, we can never reach our fullest potential or achieve deep satisfaction. Recognizing this, we’re raising awareness and understanding about “Performance with Purpose.” We’re challenging our employees to find creative solutions that leave to our children a healthier planet than the one we inhabit now and provide foods and beverages that taste great and are healthier. Using Focus and Flexibility to Balance the Short and Long Term Another significant trend I see is the need to be focused and flexible. To balance priorities and schedules is key. Setting expectations for yourself, and others of you, is absolutely crucial. And it’s important to be accountable: to yourself, your family and your professional goals. 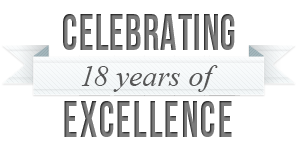 This year, our WIN has launched a work-life harmony program to focus on career effectiveness, trade-offs, managing transitions, timing and career cultivation. Part education, part common sense and part mentoring, the program helps associates understand what our own natural tendencies and needs are, while using them strategically to make the most of our careers—and to identify and to be clear about work style options and career choices. It’s clear that women are becoming ever more important to our operations, to our return on equity and to our total return to shareholders. Women increasingly are in positions affecting profit and loss: contributing to a company’s bottom line pays professional dividends. It’s certainly true at PepsiCo where, since 2001, the number of women in our sales, general manager and operations roles has increased an average of 6 percent. Second, women executives make up 54 percent of associates in marketing, a function which generates about half our senior leaders. Third, women have increased among the highest paid executives at PepsiCo in North America growing 31 percent from 2001 to 2005. Regardless of gender or background, at PepsiCo our top leaders sponsor our employee networks, and they sponsor a group that is dissimilar from them. We’ve found this relationship of a senior leader who drives crucial business decisions and the ability to gain funding and raise awareness of priorities can empower the network, making things possible that never seemed so before. 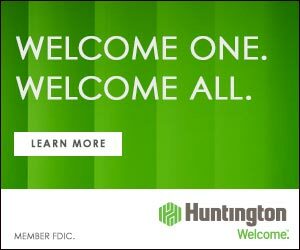 We hold all leaders and managers accountable for supporting our company-wide diversity and inclusion initiative, whether through training, representation and sponsorship, support and mentoring, or participation in events. Then we measure their impact and progress and recognize success. In our last major organizational survey, we saw a dramatic improvement in the inclusiveness of the environment for all executives—39 percent since 2003. And with these changes, overall satisfaction with PepsiCo has increased among women of color (12 percent) and white women (4.3 percent) since 2004. Making Diversity a Global Priority with Women as a Unifying Focus Much of what I have talked about here is North American in focus, but as a global company, our diversity and inclusion effort crosses almost 200 countries and touches approximately 168,000 associates. The cause of women serves as a global unifying focus for us—our only common D&I target across vast areas that have no affirmative action laws and which forbid many of the practices we regard as standard in the U.S. We set targets to ensure global representation of women in our management ranks. And we’ve had some dramatic results. The number of women in management in our international busi- nesses has grown from 13 percent in 2003 to 19 percent at the end of 2006. Global companies like PepsiCo need a lot more great people to drive growth. To be successful, we must understand and serve the world’s many markets. We must be able to tap into a wide, deep and diverse talent pool and then retain the people we hire. I congratulate and celebrate the women recognized in this issue. They have recognized that diversity is a business strategy and that certain key trends can propel them to success. I want to thank them for their commitment to growing their careers and at the same time helping others move ahead. I challenge them to make the most of their continued focus on purpose and to change the workplace for the women who come after them.